On Wednesday, April 1, Produce Exhibitions will celebrate the opening of Tyler School of Art with Print Liberation, a self-titled, site-specific installation project by the creative visual duo of Jamie Dillon and Nick Paparone, local artists who have found success both in Philadelphia and around the world for their non-traditional, DIY practices in printmaking and graphic design. Transplanting visual, material, and aural aspects of their company workspace and entrepreneurial history into the Tyler Student Lounge Gallery, Dillon and Paparone will engage gallery-goers with ideas of consumer culture and their own professional practice while dually imposing their commercial “artifacts” and production residue into the dynamic of the “white cube” space. Print Liberation opens on Wednesday, April 1, 2009 and Nick Paparone and Jamie Dillon will be conducting a lecture at 11 am that day. 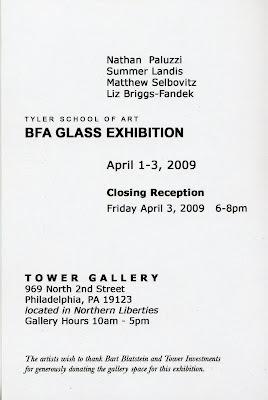 The opening reception will be held on April 2, 2009 at 7:30pm, and the show will remain open to the public through Saturday, April 11, with a closing performance set for Monday, April 13. Produce has also organized a Print Liberation-inspired printmaking event on Wednesday, April 15 in conjunction with Temple University’s Spring Fling. Nick Paparone and Jamie Dillon's commerce-driven experiment called Print Liberation is a grassroots, creative company currently based in Philadelphia that specializes in non-traditional graphic design, posters, print ad campaigns, and t-shirt design. Their work has been featured in New York Times Style, LA Times, Creativity Magazine, Nylon, New York Style Magazine, and Philadelphia Weekly and their designs have been used by Urban Outfitters, Free People, Philly Car Share, and Nike. More information can be found on their website, www.printliberation.com. Produce Exhibitions is an organization devoted to coordinating shows of nationally and internationally known artists. 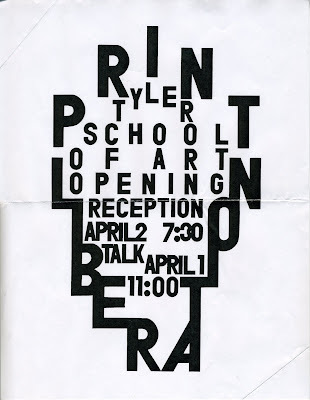 Through the program, undergraduate students at Tyler School of Art have the opportunity to learn how to successfully organize exhibitions and work with reputable artists with the guidance of the Exhibitions and Public Programs Department at Tyler. 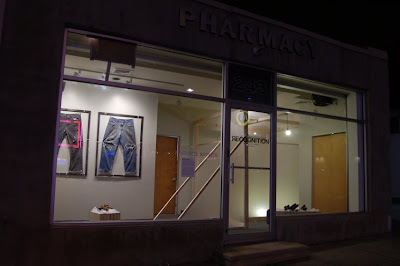 Produce aspires to introduce students, faculty, and the Philadelphia community to their exhibiting artists. In the past Produce has worked with Center for Tactical Magic, Quentin Davis, Kate Gilmore, Trenton Doyle Hancock, David Howe, Benjamin Kinsley, Steven Lam, Nelson Loskamp, Jon Manteau, Tim Murphy, and Zoe Strauss. 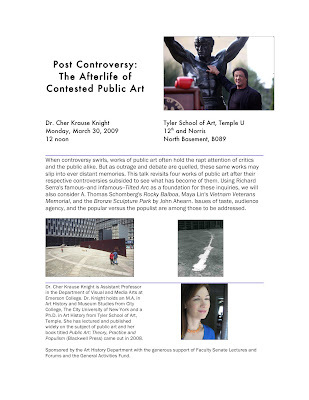 For more information, please contact Produce Exhibitions at produce.exhibitions@gmail.com or call Exhibitions and Public Programs at Tyler School of Art, 215-777-9144. 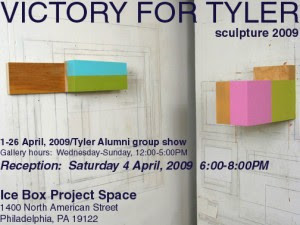 Victory for Tyler: Sculpture 2009, at the Ice Box in the Crane Arts building. 29 contributers. The brew will be provided by Victory Brewing, a sponsor of the event. Victory is run by a Tyler alum. What are you working on? The beginning of the end. What are you excited about? Ending the beginning, flashlights, darkness/quiet places, hanging upside down. Three good things about today. I ate two different kinds of pretzels. I had time to drink a full cup of coffee before I left the house. I used my roller skates. The dark and quirky stop-motion animators Stephen and Timothy Quay – better known as The Quay Brothers – return to Philadelphia and their alma mater for the first time since graduating in 1969. 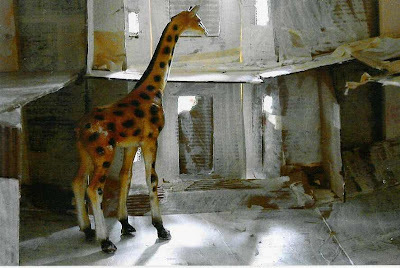 The return from their adopted home of London coincides with the exhibition Dormitorium, Film “Décors” by the Quay Bros. at the University’s Rosenwald-Wolf Gallery (running now through April 9). The exhibition features 11 original sets (décors) from their puppet animation films, and is the first time the décors will be shown in North America. 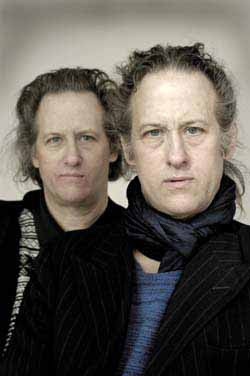 The brothers are also scheduled to receive an award for filmmaking achievement at the Philadelphia Film Festival/CineFest 2009. This Wednesday, April 1, from 11:30 a.m. to 1 p.m., the Quays will be present at a screening for students of clips from their films, in Levitt Auditorium at Gershman Hall, 104 South Broad Street. Following the screening, they will engage students in a question-and-answer session. Please let your faculty and students know that they are cordially invited to this free event. 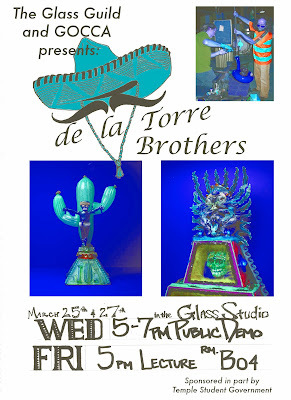 The Tyler Glass Guild and GOCCA (event sponsored in part by Temple Student Government) would like to invite you to an event with the de la Torre Brothers, Einar and Jamex, an internationally renowned Mexican-American collaborative team. We are honored to have them here while we celebrate the Tyler School of Art's new building. The Public Glass Demo will be in the Glass Studio on Wed. March 25 from 5-7pm and the Slide Lecture will be at Tyler Rm. B04 on Fri. March 27th at 5pm. 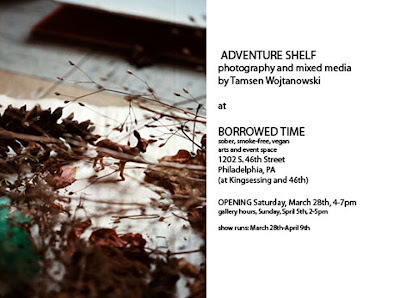 Please join us with welcoming Einar and Jamex, a great show is promised! note: Eyeprotection in Glass Studios is a Must, so bring your safety glasses, sunglasses or regular glasses to the demo! More about the artists: The de la Torre Brothers are cross border multi-cultural artists; they have successfully traversed many borders including state borders and art disciplines. They have studios on both US soil and Mexican soil and they show their works around the world. 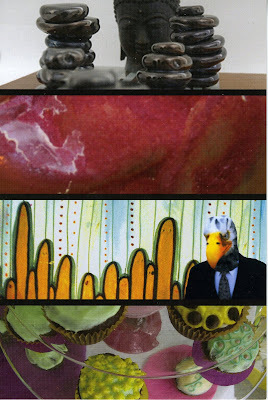 They were featured in the PBS series “Crafts in America.” Also been invited numerous times to teach workshops at prestigious venues around the world including Pilchuck Glass School in Seattle, Washington (established by Dale Chihuly), Penland School for Crafts in North Carolina, and The Glass Furnace in Istanbul, Turkey. 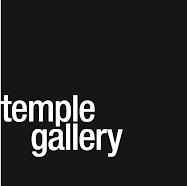 They show their work in well-known craft galleries such as William Traver Gallery, Seattle, Washington, and Snyderman Gallery here in Philadelphia. They also have works found in the collections of Arizona State University Art Museum, Los Angeles Museum of Art, Kanazu Museum of Art, and San Diego Museum of Art. It is an honor to have an event here at Temple with these renowned artists. More information can be found on their website, www.delatorrebros.com. Hypertension Disparity: Can Lifestyle Modification Play A Role? Moskowitz exhumed the book Stones of Summer from obscurity and turned it into a full-length film highlighting the importance of creating a repository for books and information. His “re-discovery” of this book and eventual creation of the film emphasizes the relationship between new mediums and traditional print materials. Please join us for an exploration of Moskowitz’s filmmaking and extraordinary journey into his Lost Book Club. 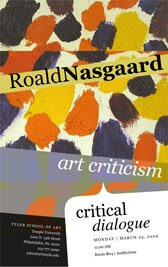 Roald Nasgaard (MA, UBC; PhD, Institute of Fine Arts, NYU), Professor of Art History, past-Chair of the Art Department at Florida State University, had, before returning to academia, a long distinguished museum career. From 1975 to 1993 he served successively as Curator of Contemporary Art and Chief Curator at Art Gallery of Ontario, Toronto. Among the many exhibitions he has curated are Structures for Behaviour: New Sculptures by Robert Morris, David Rabinowich, Richard Serra and George Trakas (1978); The Mystic North: Symbolist Landscape Painting in Northern Europe and North America, 1890-1940 (1984); Gerhard Richter: Paintings (1988); and Pleasures of Sight and States of Being: Radical Abstract Painting Since 1990 (2001). 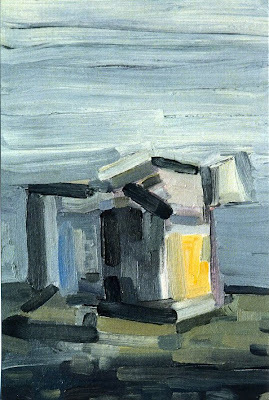 His comprehensive book, Abstract Painting in Canada, was published in 2007. Among his current projects is the exhibition, The Automatiste Revolution: Montreal 1941-1960, which will open at the Varley Gallery, Markham, Ontario in October 2009, and at the Albright-Knox Gallery in Buffalo, NY in March 2010. Oculus Photo Group is pleased to announce an extension to the Photo MFA Survey Call for Entries. Entries need to be postmarked by March 30, 2009. 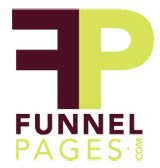 - Please test CD’s prior to submitting. - Image/Title List should be numbered to correspond with your files. Include name, title, date, and medium, in that order. - All entries must include entry form. - Submissions that do not follow guidelines, or those not postmarked by March 30, will not be considered. - Applications and materials will not be returned. - Applicants will be notified of the results by email. For any questions, please contact: typhoto@temple.edu or 215-777-9235. Radcliffe Bailey was born in 1968 in Bridgeton, NJ. He grew up in Atlanta, earning a BFA from the Atlanta College of Art in 1991. 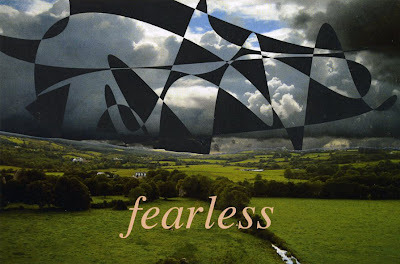 In 2004, Bailey received a Joan Mitchell Foundation Grant. 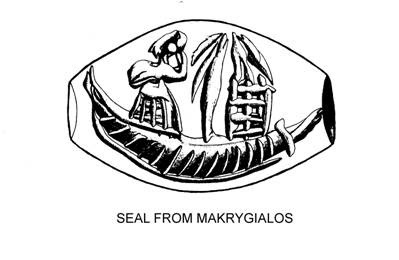 In 2006, he was a visiting faculty member at Skowheagan School of Painting and Sculpture. 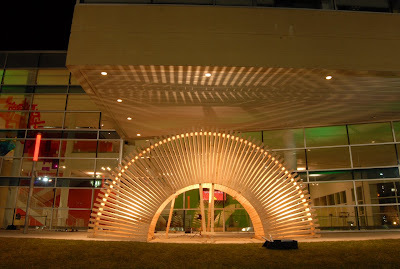 This year, in 2008, the artist created large-scale glass works while participating in the Toledo Museum of Art’s Guest Artist Pavilion Project (GAPP). 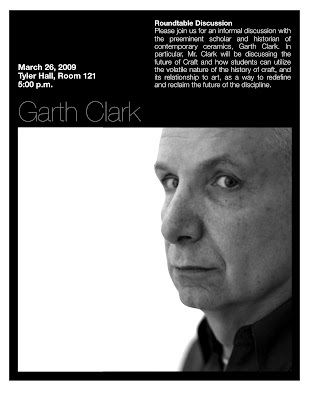 From 2001 to 2006, Bailey taught at the Lamar Dodd School of Art at the University of Georgia. His art is represented in many museum collections including the Metropolitan Museum of Art, the Smithsonian, San Francisco Museum of Art, Corcoran Gallery of Art, Museum of Fine Arts, Houston, Nelson-Atkins Museum, Kansas City, Harvard University Art Collection, Art Institute of Chicago, Birmingham Museum of Art, Mint Museum of Art, Norton Museum of Art, and in Atlanta at Hammonds House, MoCA Ga, and the High Museum of Art. In 1994, his work was included in “The Hale Woodruff Memorial Exhibition” at The Studio Museum of Harlem. In 1996, Bailey gained acclaim for his large-scale mural, Saints, commissioned by Atlanta’s Hartsfield-Jackson International Airport for the summer Olympics. 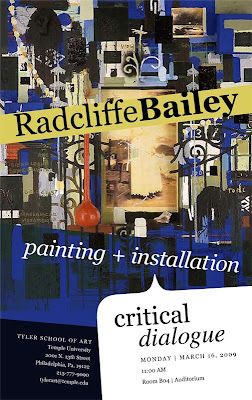 “Radcliffe Bailey: The Magic City” (2001), presented at the Birmingham Museum of Art, and Blaffer Gallery, University of Houston, is his most notable solo museum show to date. 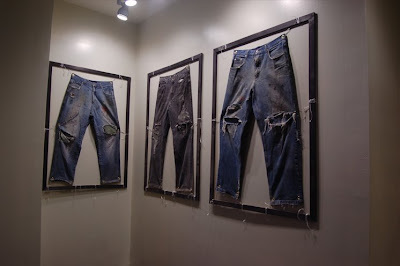 Other solo exhibitions have been presented at Clark Atlanta University, Rhodes College, Memphis, Cheekwood Museum, Nashville, and Jacksonville Museum of Modern Art, Florida. Bailey’s work was included in the traveling exhibition, “Black President: The Art and Legacy of Fela Anikulapo-Kuti.” Other notable group shows include presentations at Emory University, and the Contemporary Arts Center, Cincinnati. Currently, his large-scale sculptural work, “Storm at Sea,” is part of “NeoHooDoo: Art for a Forgotten Faith,” curated by Franklin Sirmans at the Menil Collection, Houston, 2008. Parking is available for a fee in Lot 10, corner of 12th and Norris Streets. Announcing: Art Contest for Students and 18-25 year-olds - $100 Prize! The Philadelphia Live Arts Festival and Philly Fringe is looking for imagery to represent The A.W.A.R.D. Show! 2009: Philadelphia in the 2009 Festival guide, website, as well as potentially on show postcards. 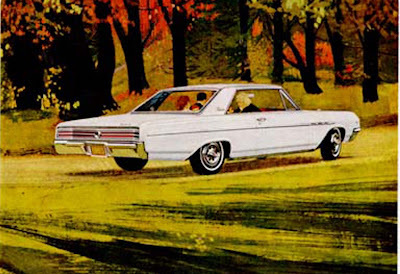 Images can be created in any medium, and should be original, bold and eye-catching. Electronic output file must be at least 300dpi at 8" x 8". Imagery should be non-literal - does not need to represent dance, but the essence of the spirit behind The A.W.A.R.D Show!. Think along the lines of fun, competition, voting, etc. Can be more formal or cheeky. We're open to all interpretations. Qualifications: Any student (undergraduate or graduate) or 18-25 year-old in the Philadelphia region may apply. - Tues. March 10: E-mail Alice Hershey expressing interest. Include school, class year, and preferred e-mail address. - Wed., March 11: We will send you additional information on the show and further direction on what the Festival's Artistic Director is seeking to achieve with the imagery. - 4pm, Fri. March 27: Deadline to submit artwork. Images must be e-mailed to alice@livearts-fringe.org. The winner will be chosen in early April by a panel of Philadelphia Live Arts Festival employees and reviewed by the Joyce Theater. Further design work is a possibility. Welcome to the thirteenth anniversary of the Philly Fringe! Our mission is to provide an opportunity for artists to produce and present their art in an exciting festival atmosphere. The Philly Fringe is open to any artist who has a piece of work to present and can find a venue. We do not invite anyone to perform, nor do we produce Fringe shows. In the tradition of the Edinburgh Festival Fringe, we ask that you challenge yourself to be an artistic pioneer by taking your work to new levels of artistic innovation and presentation. Self-producing an event for the Fringe enables you to reach new audiences, choose your own venue, set your own schedule, and have artistic, financial, and organizational control over your performance. While you produce your work, we help you with marketing and box office support. If you are new to the Philly Fringe, please be sure to read all information below before registering. 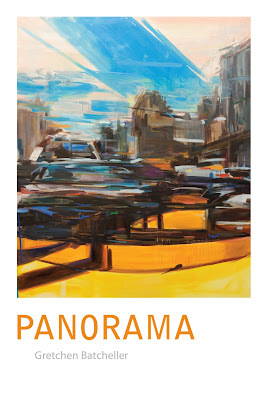 The Rutgers MFA program made a blog for themselves. Partly inspired by ours. First year Paul DeMuro, who did his undergrad at Tyler, contacted me about adding the link for the blog, it is in its infant stages but hopefully it will keep going and we can learn some interesting things about that place. Walyon D. Bigsby is an artist living and working in Philadelphia. He has a BFA from East Carolina University, and is returning south this year to work toward his MFA at the University of Kentucky in Lexington. seduces us with something that seems better: no sweat, improved efficiency, and getting something as a result that is more enthralling than what we could produce ourselves. 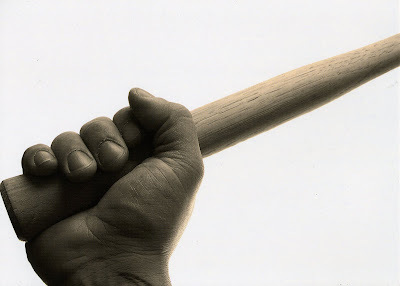 Anything that is ready made and comes to us without effort can be a perfect example. It's an exercise in consumption. When it happens, we say, after a brief moment of pleasure: "Is that all?" The world is inescapably technological, so the challenge is to find engagement within it. For me, engagement equals value - making employs the body and mind, and the process of making is a valuable thing that I get to explore in its depth." Iranian-born American HK Zamani (Habib Kheradyar Zamani) is a Los Angeles based artist and curator. His work can be located within the extended field of painting, ranging from paintings and objects to site specific, multi-media installations often including performances. His work is guided by multi-cultural influences ranging from ascetic Islam to psychedelia. 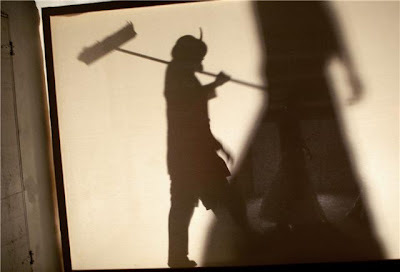 He performed in the 2006 Prague Quadrennial and has exhibited at venues such as Kulturzentrum bei den Minoriten, Austria; Hohenthal und Bergen, Germany; Pierogi, New York; Kampa Museum, Czech Republic; and Lincart, San Francisco. His work is in the permanent collections of LA County Museum and Berkeley Museum of Art. He received a C.O.L.A. Grant in 2004, and a California Foundation Getty Grant in 2005. His work is represented by SolwayJones in Los Angeles. Zamani is the director of LBCC Art Gallery, and also the founder and director of both POST, a subversive venue for contemporary art in Los Angeles, (1995-2005), and its recent renewal as PØST.